A GALWAY CITY man, believed by gardaí to be one of the most prolific scam artists in the country using the DoneDeal website, has been jailed for five years with the final year suspended. Owen Maughan (40), a father of five, from 39 Innishannagh Park, Newcastle, Galway, regularly used the buy and sell website to advertise and sell livestock trailers which were stolen in broad daylight from farmers attending marts in Galway and Clare last year. Maughan has already served a lengthy prison sentence for the theft of two other livestock trailers, and for selling non-existent concert tickets, match tickets, and car parts to unsuspecting punters on the website. That sentence was imposed in July, 2016, and expired last August. Suspected for many years as the man behind numerous DoneDeal scams in the Galway area, Maughan – who has 91 previous convictions for mostly crimes of deception and theft – was this week jailed for five years with the final year suspended at Galway Circuit Criminal Court for the latest spate of livestock trailer thefts. Detective Paul McNulty, who said he had investigated Maughan’s activities over the last two years, told the sentence hearing that for as long as he had known him, Maughan had never abided by any law or any bail conditions. Detective McNulty said that in relation to the charges before the court, three Ifor Williams cattle trailers were stolen from car parks at marts in Athenry, Tuam and Kilrush between 21 and 23 March last year. The first theft occurred at Tuam mart on 21 March, when a local farmer returned to his jeep at 1pm to find his trailer, worth €6,000, had been stolen. The following day, another farmer parked his jeep with trailer attached at Athenry mart at 11am and when he returned at midday, the trailer was gone. CCTV footage captured a black Hyundai jeep towing the €4,000 trailer away. Then, on March 23, at 11.30am, a third farmer had his trailer stolen from the car park at Kilrush mart. There was no CCTV evidence found to track that trailer, which was worth €5,000. Detective McNulty said a garda investigation ensued and CCTV footage from the toll bridge on the M6 motorway at Cappataggle captured the Hyundai jeep involved in the Athenry theft passing through the toll on March 22, heading east with a trailer attached. The CCTV captured the jeep returning westwards at 5pm with no trailer attached. The face of the male driver, who was wearing a camouflaged fisherman’s hat at the time, could not be identified. Detective McNulty said in relation to the trailer stolen at Tuam mart, gardaí viewed CCTV footage from the toll at Enfield and again, it captured the Hyundai jeep heading east with the trailer attached. The jeep returned later that day, heading west, with no trailer attached. The footage on that occasion identified Maughan as the driver. The owners of both the Tuam and Athenry trailers viewed the CCTV footage from both tolls and positively identified their respective trailers for gardaí. Detective McNulty said he checked the DoneDeal website at 10pm on March 23 last year and noticed an advert for an Ifor Williams trailer for sale in the Westmeath area. The seller used the name “Ger” and gave a mobile contact number. “I was immediately drawn to the low price of the trailer which was €2,750 and the fact that it was only published that night,” Detective McNulty said. He contacted DoneDeal and staff there confirmed that the photos used for the advert were taken from another genuine advert. Detective McNulty set up a ‘sting’ to recover the advertised stolen trailer and his colleague Detective Pat Fahy posed as a buyer, contacted the mobile number and spoke to ‘Ger’. Detective Fahy immediately recognised Maughan’s voice, while Maughan was totally unaware he was speaking to a garda. Arrangements were made to view the trailer in Roscommon town the following morning. Both detectives stopped the Hyundai jeep being driven by Maughan, which was towing the trailer stolen from Kilrush Mart the previous day. Maughan’s jeep had false number plates, identical to a similar type jeep owned by a person with a Kerry address and he was disqualified from driving at the time he was stopped. The camouflage fisherman’s hat was found in the door pocket. Detective McNulty arrested Maughan for handling stolen property and he was detained for questioning. However, he refused to answer any questions put to him and refused to inform gardaí about the whereabouts of the other two trailers. Detective McNulty said he noticed another advert on the DoneDeal website on 25 March, offering another Ifor Williams trailer for sale for €4,750. Photographs matched the trailer stolen from Tuam mart. Gardaí contacted the seller, a Ned Cash from Adamstown in Wexford, and they went to meet him. The trailer he had for sale was the one stolen from Tuam mart. Gardaí seized the trailer. Cash told Detective McNulty he bought the trailer from a man named “Ger” in Kilcock four days beforehand – the same day it had been stolen – after he saw an advert on DoneDeal and that he paid €2,250 for it and obtained a receipt. Detective McNulty said that DoneDeal identified the IP address used to place the advert on its website as belonging to Maughan’s home address. Maughan refused to answer any questions in subsequent interviews in relation to the trailers but he did accept the adverts were placed from his home using the IP address identified by DoneDeal. McNulty added that to this day, Maughan has refused to admit any involvement in the theft of the trailers and has refused to assist gardaí in recovering the trailer stolen from Athenry mart. Maughan, he said, was out on bail when he committed these offences. “I can say, without a doubt, that he is one of the most prolific scam artists in this country using the DoneDeal website,” McNulty added. Maughan had pleaded guilty to one sample theft charge and to handling stolen property and was due for sentence last July, but he sacked his legal team – which had been appointed under the Free Legal Aid Scheme – and a new team had to be appointed. His new barrister, Gabriel Reynolds, told the sentence hearing which had been adjourned to this week that while Maughan might be regarded by some as “a bad ‘un”, he did have a gambling addiction and psychiatric problems. Reynolds said his client’s wife had brought €1,000 cash to court to offer as compensation to the victims. After Judge Rory McCabe imposed the five-year sentence, a stunned-looking Maughan offered a further €4,000 compensation. The judge said it was “too little, too late”, but he directed the €1,000 already lodged in court be divided between the victims who are out of pocket. The judge said these were serious, premeditated crimes against the farming community which operated to a great extent on trust. “He (Maughan) was in the business of selling and dealing in stolen goods for profit and there is no evidence to support he had a gambling addiction,” the judge said before imposing the five-year sentence for the theft of one of the trailers. 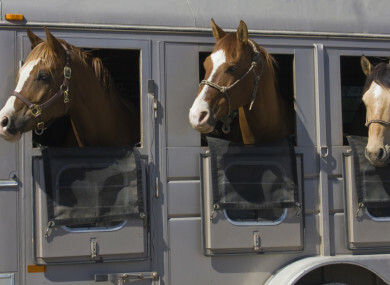 A concurrent two-year sentence was imposed for handling the trailer, knowing it was stolen. The final year of the sentence was suspended for three years on condition Maughan come under the supervision of the probation service for 18 months on his release from prison. The remaining charges, involving the other two trailers, were taken into account. Email “Prolific DoneDeal scam artist caught in 'sting' is jailed for five years”. Feedback on “Prolific DoneDeal scam artist caught in 'sting' is jailed for five years”.